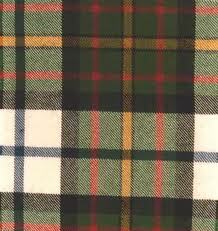 The Clan MacLaren is one of the most ancient Scottish Clans, with a history dating back a thousand years. Members across the world can trace their origins back to the traditional lands which reach from the Braes of Balquhidder to Loch Earn, in the heart of Scotland. Clan Chiefs were cadets of the Celtic dynastic house of the Earls of Strathearn. In the early 1200s, Abbot Labhran (Laurence) of Achtow lent the Clan MacLaren its name. The Clan was influential until the 16th following a campaign of pressure from the Campbells, the Clan MacGregor carried out a raid of eighteen homes which ended in the deaths of Clan families and the Chief. This left the MacGregors in a position to take possession, and without a Chief or lands, the Clan MacLaren was unable to produce a legal title to their ancestral homelands. The Clan MacLaren was now formally 'chiefless and landless'. From the Battle of Bannockburn onwards, the Clan fought for the Scottish crown and supported the Jacobites until the devastating Battle of Culloden. The Clan's fortunes remained mixed until the 20th when its status was firmly re-established. 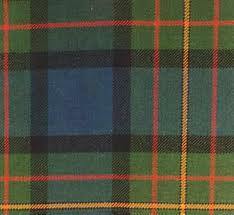 In 1957, the Clan's label 'chiefless and landless' was removed when Donald MacLaren of MacLaren and Achleskine successfully matriculated his Arms at the Lyon Court, and purchased land in Balquhidder. Creag an Tuirc or 'The Boar's Rock', the traditional MacLaren rallying point, was part of that land and remains an important landmark today. A few years later, the Society was established to support the Clan's interests and help bring together members from across the world. Following his death in 1966, Donald MacLaren was succeeded by his son, Donald MacLaren. As a member of the Diplomatic Service, the present Clan Chief has served in Berlin, Moscow, Havana and Caracas, and from 2004-2007 was the British Ambassador to the Republic of Georgia. Now retired from the Diplomatic Service the Chief lives in Balquhidder with his wife, Maida, and their children, Donald Og, Florian, Louis, Iona and Marina. 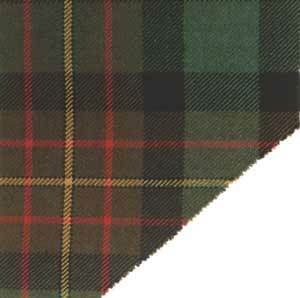 Ancient and Modern tartans are the most popular, and as a result are the tartans most often seen at Clan events. 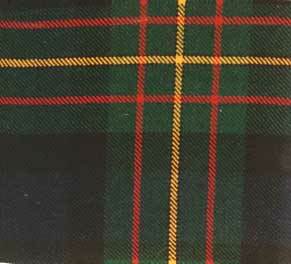 Weathered and MacLaurin of Broich tartans have a smaller following, while the Dress tartan is favoured for formal ladieswear. Priding itself on a reputation as the world's only hand-crafted tartan mill, DC Dalgliesh produces high quality tartan using traditional methods. Visit the DC Dalgliesh website for more details. 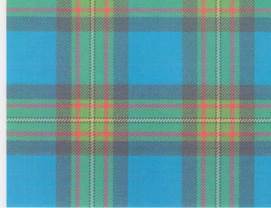 Borders-based Lochcarron boast a sixty year history and offer a wide range of tartans and fabrics. Visit the Lochcarron website for more details and locations of shops across Scotland, New Hampshire, USA and Ontario, Canada. The Clan MacLaren Society collects genealogies which interconnect with the Clan. You can submit yours to our Clan Genealogist, Bob McLaren, who will be happy to help you if you are researching your own family history. He can also assist you if you are new to genealogy programs or unsure how to extract the information you have collected. Submitting your data through The Church of Jesus Christ of the Latter-Day Saints� Genealogical Data Communication (GEODCOM) is the simplest way to share it. For newcomers to genealogy, start by noting down anything you already know and asking older relations about past generations. Family records like birth, death and marriage certificates will provide you with valuable names, dates, occupations and addresses. Once you have some information to go on, you can build on it by finding those ancestors� records through genealogical databases and official archives. Parish and church records date back further than statutory registers, which began in 1855, while census information dates back to 1801 in some areas and is made available a century after its publication. Visit online or in person to request copies of specific records held. Research collections include birth, death, marriage and divorce certificates, census data and church records. The Central Scotland Family History Society provides information on the society, membership and upcoming events. A volunteer-run not for profit group offering genealogical resources covering the UK and Republic of Ireland. The CWGC database holds details of Commonwealth war dead and cemeteries, and is free to search. Records and archives, lectures and library access available on an SOG members only basis. An online marketplace for family history society memberships and genealogical resources like historical electoral registers and military directories. From their base at the Family History Centre in Edinburgh, the volunteer-staffed Scottish Genealogical Society hold a wide range of records within their library. The extensive family history database maintained by the Mormons includes indexed records of family tree data from around the world, and can be accessed online, via their app or in person. National Trust for Scotland takes care of sites across the country, including Culloden Battlefield and visitors� centre. Government-run Historic Scotland conserve buildings and places of interest, many of which are open to the public for free or paid admission. Visit Scotland provides information on events across the country.